Cakes. Pies. Baked goods. We can’t deny it, we would love a slice of either—or best case, both at once. Imagine a warm buttery flaky tart with succulent juicy wagyu beef cheek oozing with house gravy. Now imagine a creamy smooth fluffy sponge cake with fresh strawberries and whipped cream made of clouds. Both. But at the end of the day, when it comes to finding a side to take for this long-standing debate between the two, we would definitely jump on #TeamPie. Pie can be a friend in ALL situations. It may be a bit tricky to sneak one into a birthday party, but who would complain if the pie was loaded up with an array of fruits and baked to a golden hue of happiness? Much healthier, and everyone gets an equal share of the whole tart body filling. 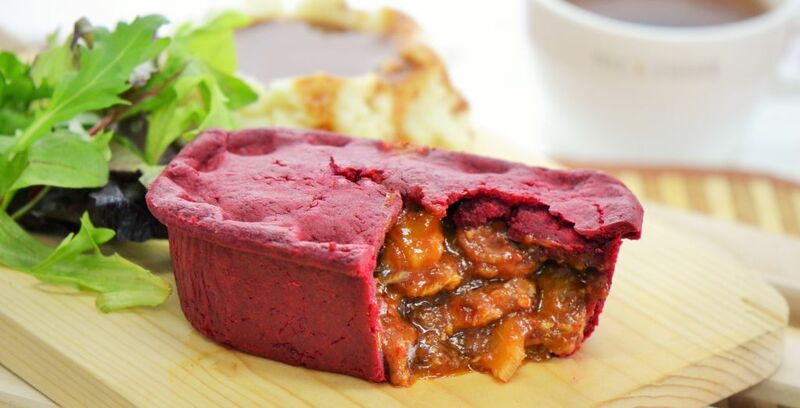 Especially if it is savoury so it becomes a celebratory extension of the party meal… like this Beetroot Concoction with a surprise BBQ Chicken showstopper from Pies & Coffee. Pie is scientifically approved and accepted. Ever heard of a pie-chart? Yes. 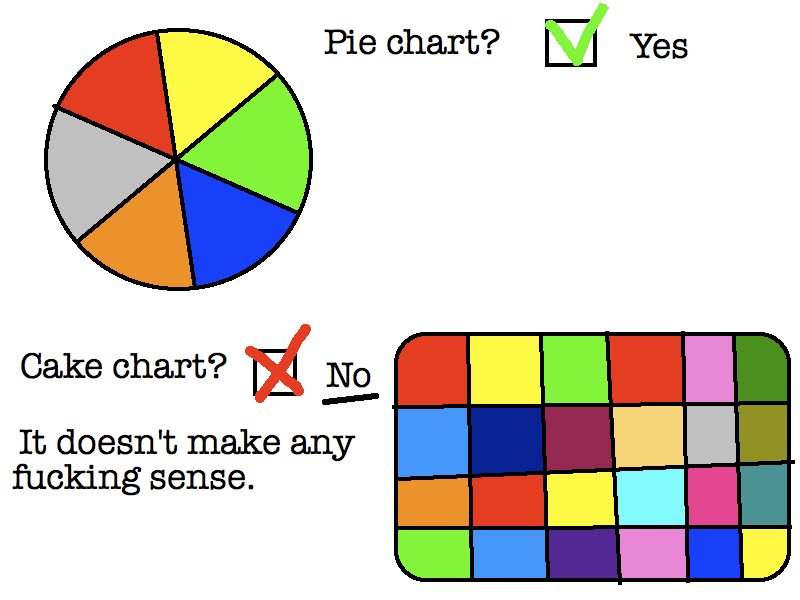 Ever heard of a cake-chart? No. And that no is for a reason. Not to mention that pies provide a longer and larger enjoyment allowance with their flexible fillings, large surface ratio of sharable potential, and baked tenacity in enduring heat, aircon and handbag stuffiness. The wonderful flavour anatomy also ensures that the taste doesn’t die down within the first couple of spoonfuls, unlike cake which can become gao wei (heavy on the appetite) after the first two bites. 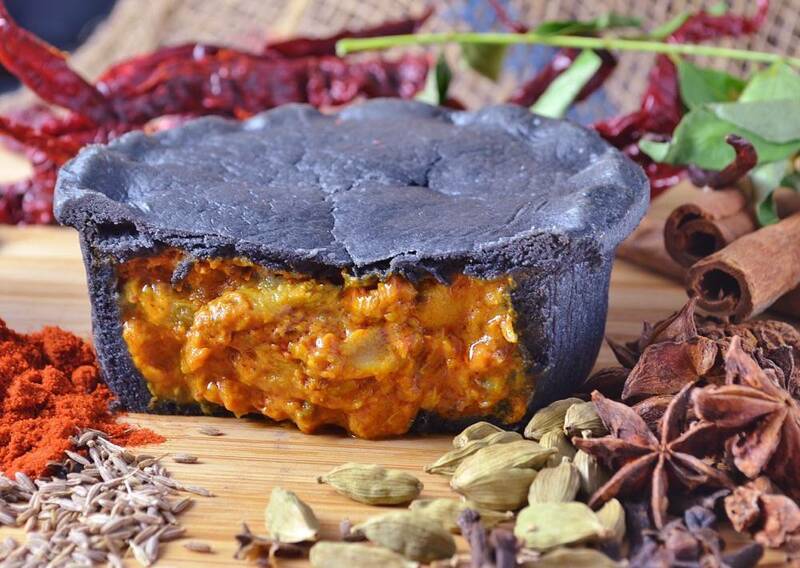 Just take a look at this Singaporean delight, this homegrown creamy and spicy Charcoal Chicken Curry Pie waiting to burst through the roof with its addictive zing. Pie will be yours at any hour, any day, any time. Breakfast pie, lunch pie and dinner pie? Enough said. There is nothing more satisfying than digging into a freshly baked pie with a perfect crust and provocative centre. It is also highly convenient, good for a quick lunch and clean enough for eating under the desk. For those still hesitant about treating pies as meals, we promise you that it will leave you hearty to the core, ready to take on the world and more pies. Oh, and one of Singapore’s perennial favourite cafes, Pies & Coffee, just started serving full meals to go with their daily baked treats! Pies will have to step aside for them, because these gourmet newcomers are all under $15. Look out for crispy bread bowls overflowing with clam chowder, and chicken curry with one whole chicken drumstick stuck in it. Our personal favourite? Go for the Hungarian Beef Goulash Pot Pie, generous tender beef chunks stewed for more than five hours to bring comfort and joy to our mouths. Are you on #TeamPie yet?